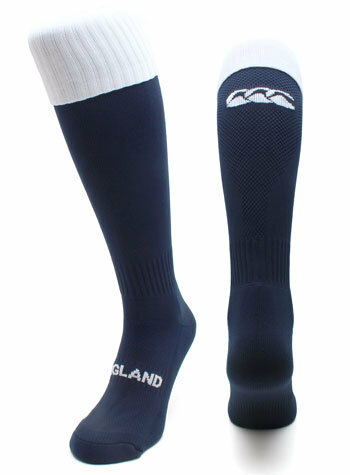 Often the last piece of kit pulled on, there's a great deal of comfort to be felt when wearing the England 2015/16 Alternate Players Rugby Socks. Made by Canterbury from a blend of soft materials, the tapered turnover and ankle helps keep the socks in position while strategic cooling panels down the calf and over the foot help you stay fresh as the action heats up. 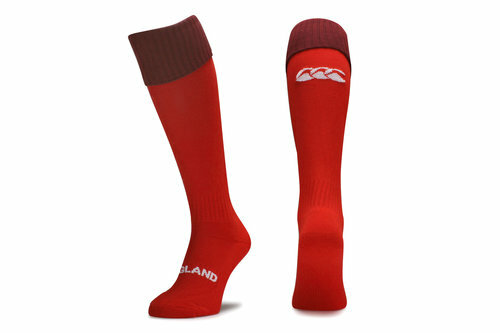 Presented with a two-tone red look to complete the England alternate kit, wherever you pull them on you are reminded of your passionate support as 'England' is written over each foot.